The brigade will also participate in the International Book Fair 16 February 2012 for the presentation of the book Che Guevara:Economía en Revolución (Che Guevara: the economics of revolution) written by Helen Yaffe, one of the founding members of Rock Around the Blockade in 1995. The activists will donate sporting equipment for Cuban youth, marking the year of the London Olympics and to highlight the achievements of the Revolution in promoting and democratising access to sports. For 53 years, Cuba has maintained and increased is free social provision despite the impact of the US blockade. This presents a contrast with the austerity measures implemented by the British government which is attacking public services and benefits. 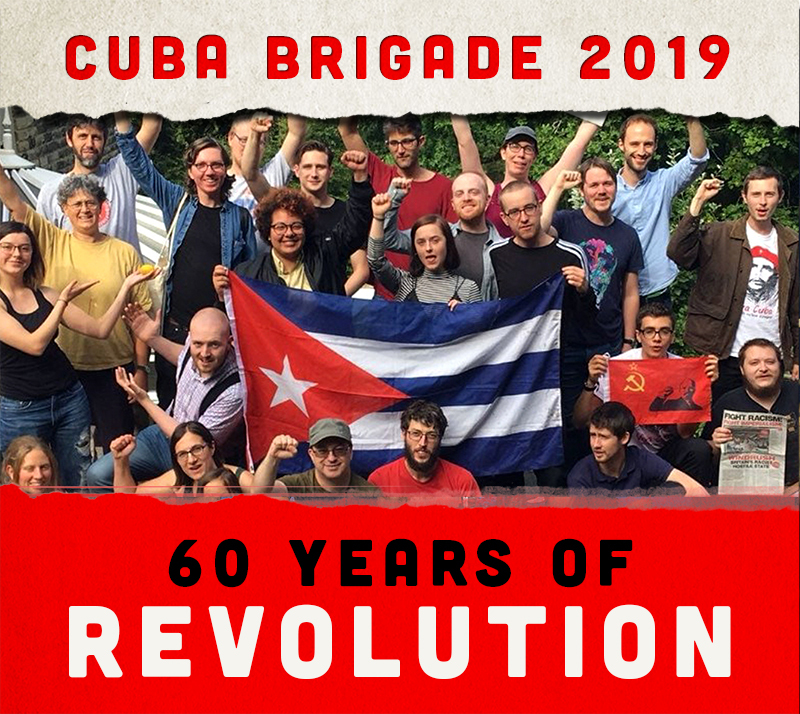 Through this fraternal exchange the activists aim to learn about the achievements and challenges of the Cuban Revolution and socialist construction. They will also discuss with the UJC a campaigning strategy for informing people in Britain about the case of the Cuban 5 heroes, unjustly imprisoned in the US.